First and foremost, congratulations to the Terengganu government for securing all the necessary approvals to be the first to debut electric buses in Malaysia. That’s a good start for Terengganu and Malaysia to embrace the fast evolving and transformation of the global electric vehicles (EVs) technology in Malaysia. “Singapore had last year also debuted EVs on their roads,” Gerakan Deputy Speaker Syed Abdul Razak Alsagoff said. However, Syed Razak said, the federal government should allow EVs to debut nationwide, “why only Terengganu?”. He said the federal capital (Kuala Lumpur) and the Klang Valley needed to transform private and public transport more than Terengganu. “The use of EVs in KL and the Klang Valley will significantly reduce smog and improve air quality. So, say goodbye to Internal Combustion Engine (ICE) vehicles emitting exhaust smoke into the air,” he added. 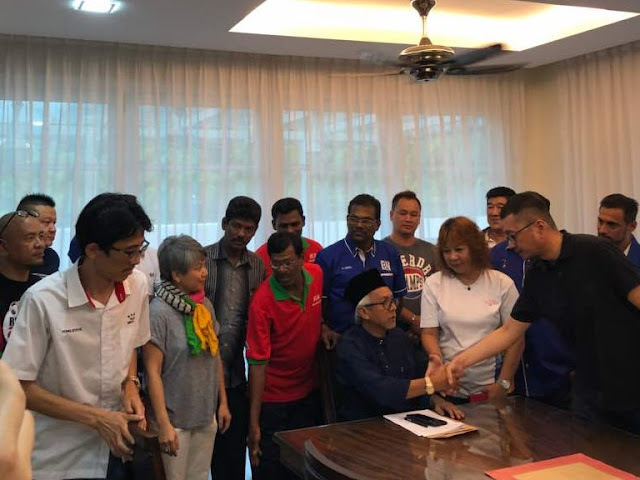 Syed Razak, who is Gerakan’s nominee to contest N.37 Bukit Lanjan in the coming 14th General Election (GE14), said the quality of health and life of Malaysians would no doubt improve with the use of EVs. “Malaysians must, therefore, prepare for the change in the motoring industry because EVs are likely to start flooding the global market in 2020. “That’s only about two to three years away,” he added. KUALA TERENGGANU: Kuala Terengganu will become the first city in the country to incorporate the use of electric buses as the state gears up to transform its public transport service through the myBAS service. This service improvement is part of the Land Public Transport Commission’s (SPAD) Stage Bus Service Transformation programme. Plying a total area of almost 236km, it will complement Terengganu’s existing bus service, which only covers a route of about 100km. Terengganu Mentri Besar Datuk Seri Ahmad Razif Abdul Rahman hopes to expand the improved system to other parts of the state. “The people will have a lot to gain. 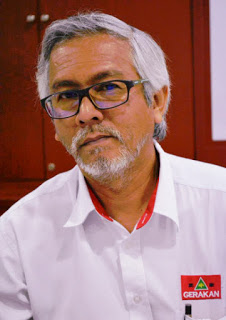 We want to solve the traffic congestion issue here before it gets worse,” he said after the contract signing ceremony between SPAD and bus service operator Mara Liner Sdn Bhd at an event on Thursday. The myBAS service will drive through seven trunk routes and a feeder route, enable wider connectivity and integration for commuters. The service, which is expected to start in the second quarter of 2018, will be rolled out in three phases. The charge for the electronic bus service will match existing bus fares of between 90 sen and RM2.50. Ahmad Razif said the first phase will cover most of the city centre and some of its outskirts, which he hopes will enable tourists access to more of the state’s attractions. The second and third phases will be rolled out in subsequent quarters. 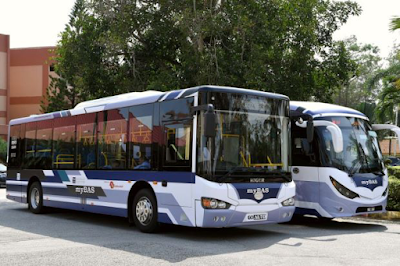 About 30 new buses will be deployed in Terengganu’s myBAS service, with 30% of them being electric buses. 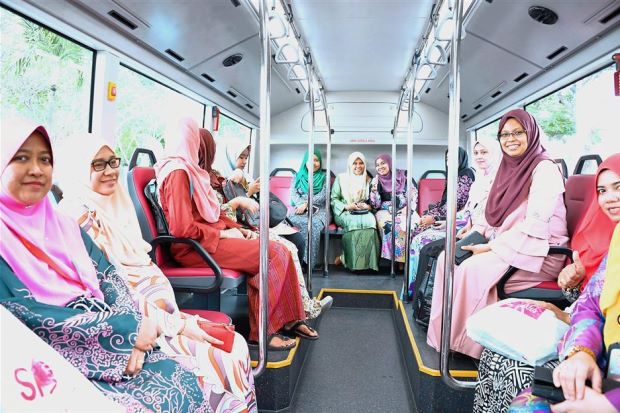 Minister in the Prime Minister’s Department Datuk Seri Nancy Shukri described the use of the electric buses as a positive development driven by the Government’s vision for a reliable and sustainable bus service. “It is good for the environment as these buses have a very small carbon footprint, do not produce smoke and run more silently than diesel buses,” she said. She added that clean and sustainable energy is the way forward, which the Government is moving towards. “The transformation can take place in about 10 years – we don’t even have to wait for 2050. “We hope that its implementation here will inspire other states to incorporate electric buses to their existing public transport services,” she said, adding that SPAD is ready to give any advice on implementation. 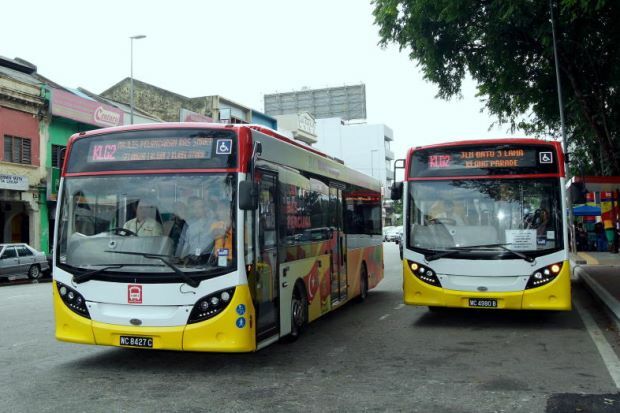 SPAD’s Stage Bus Service Transformation programme was introduced in 2015 with an RM100mil investment to drive the myBAS service in five capital cities as part of a project to improve mobility and access where stage buses are the main mode of public transportation. 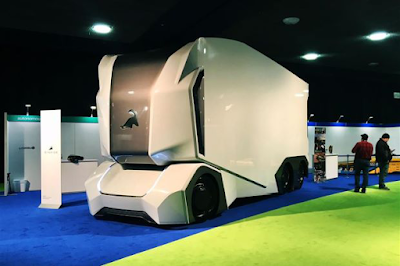 DETROIT: For the technology phobic, the Einride T-Pod autonomous cargo truck could be the stuff of nightmares. It is an imposing sight, lacking a traditional driver’s cab, and looks like it might have been dreamed up by a sci-fi filmmaker. The electric truck was one of many high-tech innovations on display at the Detroit auto show, where the top industry players in North America showed off their latest models and considered the future of automobiles and transportation. A spokesman for Swedish company Einride told AFP on Jan 16 it will test the T-Pod on its native country’s roads later this year. Nearby, steering systems manufacturer Nexteer boasted that it can make a steering wheel that does not need to be physically attached to the actual wheels of a car in order to turn them. That lack of a direct connection allows the steering wheel to be a lot more manoeuvrable. “We can have a stowable column, so the steering wheel actually stows into the dash,” Dave Sabol, an engineer with Nexteer, told AFP. This will be key for autonomous driving, he said, because future cars can hide the steering wheel when the driver is not in charge. An Ohio firm offered access to data from its expansive road testing facility at a barely-populated outpost 40 miles out of Columbus. Chief scientist Christoph Mertz told AFP he can create a database of regularly updated road conditions, so that robot cars of the future can use the information to quickly adapt to their environment. “At the moment we are in the place where (data) is growing exponentially,” Mertz said. Meanwhile, Sheikh Shuvo is offering to “clean” data that already exists to teach self-driving vehicles perform better and learn how to drive more like humans. “That refining process is labelling the data, showing the car what a pedestrian looks like, what a pedestrian does, so that it can better predict different behaviours,” Shuvo told AFP. Despite all of the promise, though, many tech attendees said robots and artificial intelligence are not replacing humans any time soon. Even that autonomous cargo truck has its limitations. DETROIT: Automakers and lawmakers expressed hope on Jan 16 that US Congress would soon pass a stalled bill aimed at speeding self-driving cars to market, even as safety advocates argued for more performance requirements. The US House of Representatives in September unanimously approved a bill to quickly allow self-driving cars without human controls on roads. A Senate committee approved similar legislation in October, but did not act before the end of 2017 after some Democrats raised concerns. At the Detroit auto show, which featured companies that are aggressively pursuing self-driving technologies, members of Congress and automakers acknowledged it could take several months or longer for the bill to be approved by the US Senate and signed into law, but said it had strong support. "There isn't much legislative time this year," said Representative Greg Walden, a Republican who chairs the Energy and Commerce Committee, in an interview on the sidelines of the auto show. "It just needs to get done." The Senate bill would allow automakers to each sell up to 80,000 self-driving vehicles annually within three years if they demonstrate they are as safe as current vehicles. Auto safety advocates complain the bill lacks sufficient safeguards. The Alliance of Automobile Manufacturers, a trade association representing, GM, Volkswagen AG, Toyota and others, urged speedy action. "Delays in passing legislation are really delays in lives saved and in access to mobility for the disabled," the group said on Tuesday. 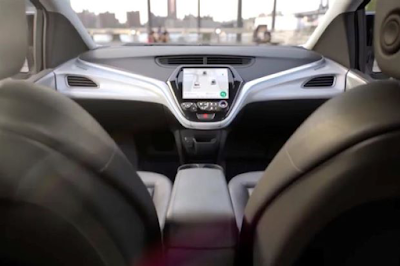 GM said last week it would seek government approval under current law to deploy up to 2,500 vehicles without steering wheels and brake pedals. Walden and Senator Gary Peters, a Michigan Democrat, said it is important that the United States maintain a lead on self-driving technology, reduce the more than 37,000 annual traffic deaths and avoid conflicting state rules. The bill grants US regulators authority to exempt vehicles from federal safety requirements and requires a determination within six months of an automaker request. Some Democrats have concerns, noting the measure would bar states from being able to test self-driving vehicles as they do prospective human drivers. "The car is not going to have to take a test," said former National Highway Traffic Safety Administration (NHTSA) chief Joan Claybrook said at a Detroit forum, arguing that the bill should require binding performance requirements for cybersecurity and vehicle electronics. She said in an interview that the proposed exemption policy is "ridiculous" and the law should bar automakers from seeking exemptions from crash worthiness standards. Peters said states could still regulate self-driving cars, including by determining where they could be used and limiting their allowed travel speed. Will flying cars soon be beating city gridlock? Congested streets, dirty air and a diminished quality of life. Traffic overload is set to suffocate modern cities unless a solution is found soon. German entrepreneur Florian Reuter is one of a handful of engineers around the world who think they have found the answer. 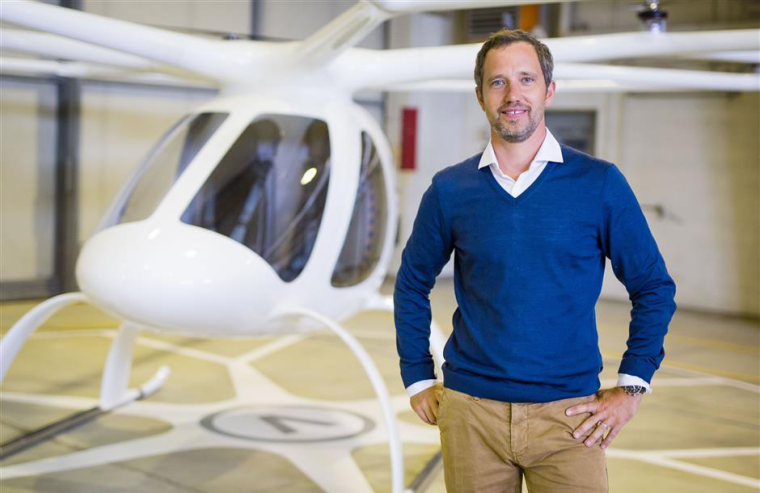 This man's dream is the Velocopter flying taxi, a project backed by car giant Daimler. The prototype has been successfully tested in Dubai. The idea of going out in the backyard and hopping into a flying car for the commute to work certainly appeals. Reuter aims to turn the transport world on its head with aerial electric drones that whisk people from one urban landscape to another. Reuter is not the only entrepreneur fettling a flying car. In Munich the Lilium company is also working on an all-electric vertical-take-off (VTOL) flying taxi. Uber says it will launch a flying taxi service by 2020 and has teamed up with the NASA space agency for this purpose. The flying taxi idea is as old as science fiction. Safety issues, high operating costs and the issue of whether drivers will need a special licence have slowed down development, but they have failed to ground the idea. Swiss futurologist Lars Thomsen believes the skies will be filled with whirring cars within a space of 10 to 20 years. "They can take off anywhere and anyone can use them", he says. 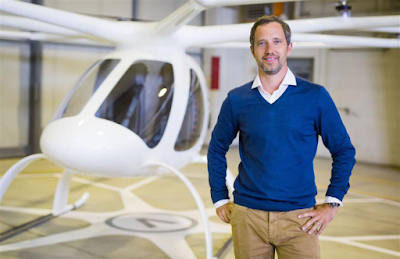 Reuter aims to market the first Volocopter as a sports machine and later as a taxi. His was able to convince Daimler to invest in the project. After all, the firm's famous three-pointed star symbolises Mercedes-Benz transport on the ground, at sea and aloft. Big money is being ploughed into flying car projects. Alongside tech firms like Uber and Google, big name carmakers are aiming to get a slice of the aerial action. 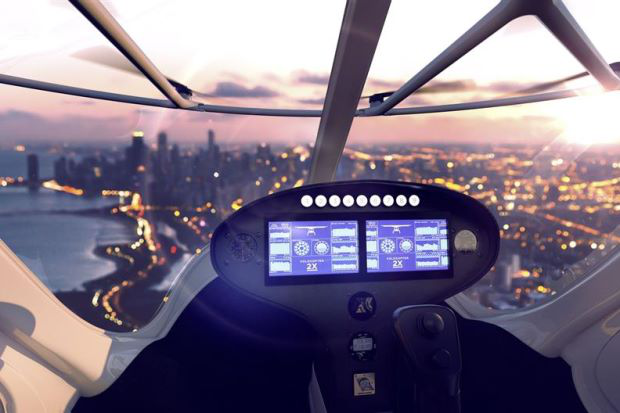 Technology has matured and modern electric motors are capable of propelling air taxis that use lighter and more powerful batteries. Reuter's machine uses 18 rotors fed by nine batteries. It can carry a payload in excess of 100 kilograms and has a range of more than 300 kilometres. Toyota is said to be working on a radical flying car which would lift a driver to the Olympic Games in Tokyo 2020. Chinese automaker Geely has bought flying car startup Terrafugia and has promised a skyborne runabout by 2019. Airbus showed its flying car concept "Pop.up" at the Geneva Car Show earlier this year. It can both fly and drive on roads. People will need to get used to the idea of flying cars taking off and landing all over the place and there have been warnings about increased urban noise. For crystal-gazer Lars Thomson, individual air transport is a logical step. "We have already conquered the skies in order to live and work. If we want to remain mobile we will need to add a third dimension to urban transportation." — dpa"